Burma faced independence in 1948 as a deeply divided country. The British had ruled the area, which now was declared the ‘Union of Burma’ under two entirely different administrative systems. ‘Burma Proper’ was basically populated by the ethnic Burmans, Arakanese, Mons and Delta Karens, whereas the ‘Frontier Areas’ were populated by the Shan people, Salween Karens, Kachins, Karennis, Chins and various subgroups of the aforementioned. The same year, as independence was granted, the Union of Burma plunged into a civil war, which still continues. This article discusses the ethnic categories created by the colonial authorities and looks into how these ethnic categories have been – and continue to be – imagined, invented, manipulated and politicised. The article looks into how the Burmese authorities dealt with the ethnic diversity in the first constitution of 1947 by dividing the country into ethnically based ‘states’ and ‘divisions’ and how the international community of today continues supporting these colonial categories. It is often stated that the British divided Burma geographically and ethnically. In fact, the British divided an area, which later was to be known as the Union of Burma. There was no ‘Burma’ before the British started to ‘imagine’ it as a particular entity east of the British Raj and gave it a ‘geo-body’ by mapping it. Hence, the idea of ‘Burma’ was an outcome of British imagination.1 Mapping this imagined community, however, destroyed its geo-body less than a century later. The territory was occupied gradually as a result of three Anglo-Burmese wars, which all were won by the British. Between the years 1824 and 1886, the British started mapping an administrative unit which later was added to the British Raj as a province called Burma. The southern parts of the territory were taken over gradually after the wars in 1824-1826 and 1852 and became the main geo-body of ‘Burma Proper’ or ‘Ministerial Burma’. The rest of the territory was taken over in a war in 1885-1886, and much of this area was administered indirectly through the local Shan and Kachin chiefs as an administrative entity known simply as ‘Frontier Areas’ or ‘Scheduled Areas’. An entity called Karenni States was left out of both Ministerial Burma and Frontier Areas, as it had become the borderland between the Burmese kingdom centred in Ava and the British-occupied Lower Burma as a result of the second Anglo-Burmese War.2 The British, forming thus de facto a third entity, a kind of a buffer state between the Ministerial Burma and the Frontier Areas, ruled Karenni States indirectly through the local chieftains similarly to the Frontier Areas. What the impact of this gradual colonisation of the area was needs to be reassessed in relation to the fact that the central government of the Union of Burma has never, throughout the last 60 years, been able to fully control its present geo-body, and some members of this imagined community have been fighting against the central government since 1948. This article uses contemporary government sources, such as the Census of India, compiled by the British every 10 years while ruling the Indian Subcontinent. The census divides British Burma into arbitrary ethnic, geographic and administrative units. 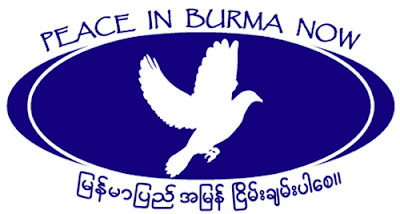 These categories remain a major obstacle for peace and for the unity of independent Burma. The Burmese continued the tradition of compiling censuses. In 1953 and 1954 two volumes of censuses were published, both covering some of the same issues as the original British Indian censuses. Another primary source for this paper is the bilingual ‘Constitution of Union of Burma’ from 1947. In the Census of India 1931, the territory known as Burma was divided geographically into different ‘divisions’. The central division was ‘Burman Natural Division’ and it included four different geographical areas: Delta, Coast, Centre and North. The Delta area included the capital city Rangoon and surrounding areas such as Insein, Hanthawaddy, Tharrawaddy, Pegu, Toungoo and Thaton. The interesting thing with this geographic division is that it regarded non-Burman areas as Burman.3 Insein is a northern suburb of present-day Rangoon and is well known as a home to tens of thousands of ethnic Karen. Several Christian churches can be found in Insein, most of them built during the colonial era, and a seminar for aspiring Karen priests known as Burma Divinity School, established in 1927, was located on Seminar Hill in Insein.4 Despite the ethnic composition of the population in this area, it was included in the ‘Burman’ division. This inclusion of the ethnic Karen areas further complicated the mapping of Burma on the eve of independence. Pegu is regarded as a centre of the Mon kingdom known in history as Hamsavati. Thaton is another famous centre of early Hindu-Buddhist civilisation, which usually in the colonial scholarship has been perceived as ‘Mon’, and not ‘Burman’. The ‘Coast’ as an administrative, geographic unit included cities such as Akyab, Sandoway, Amherst, Tavoy and Mergui. These were the first possessions that the British gained after the war in 1824. Aforementioned areas have been populated by people regarded as non-Burmans, i.e. Arakanese and Mon. Akyab is located in northern Arakan and populated by Arakanese, whereas Amherst – with its rather British name – was an important centre for the Mon. Tavoy is a mixed Burman and Mon city, whereas Mergui is Burman. The category ‘North’ in the British mapping of Burma distorts the categories of ethnicity and geography; the ‘North’ includes cities like Bhamo, Myitkyina, Katha and Upper Chindwin. Myitkyina is an important centre for the Kachin people, albeit the character of that city may have changed through the years. An inevitable conclusion is that most of the geographic ‘Burman Divisions’ were far from being ‘Burman’. On the eve of independence, in late 1940, the Burmese anti-colonial nationalists, however, followed these colonial divisions created some 60 years earlier. The other geographic divisions outside the ‘Burman Natural Division’ were called Chin, Salween and Shan, an amalgam of ethnic and geographic definitions. Chin Division included the districts of Arakan Hill Tracts and the Chin Hills. These areas were populated by both Arakanese and Chins. Salween is the name of a river at the present Thai border, and not of an ethnic group, but according to the British colonial administrators, Salween division included the river district and an ethnic Karenni district. Geography and ethnicity were intertwined in a destructive way. The fourth division was called Shan and was divided into the Northern Shan State and the Southern Shan State. The Shan states are predominantly populated by ethnic Shans, but there are also numerous other ethnic groups in the Shan states. The British used partly geographic partly ethnic names when mapping Burma. The original purpose of this may have been entirely practical and totally apolitical. With these administrative strokes of the pen the British colonial administration, however, categorised the entire population into different ethnic groups and subsequently openly favoured one ethno-religious group against another. Within time, these categories thus became highly politicised. As illustrated above, Indians are categorised as four different races, indicating implicitly the importance of these people classified as Indians in the British administration and in the overall colonial economy. The Census of India from 1931 compares the figures of the same ethnic or racial groups each decade starting from 1901. It is obvious that the number of Chinese had doubled from 1901 to 1931 from 60,000 to 132,000, whereas the number of ‘Indo-Burmans’ had quadrupled from 1901 to 1931 from 34,000 to 124,000 (Census of India 1931, p. 224). The Census of India 1931 discusses in detail how some of the aforementioned changes in the numbers of different racial groups might have taken place. The Arakanese ‘Mahomedans’ for instance have been added into the category of Indo-Burmans in the Census of 1931. In 1921, the Arakanese Muslims in the Akyab district had declared themselves as ‘Indians’, and were dutifully classified as Indians. A decade later, it was decided by the British that these people could be transferred to another category. The number of the Indian population had rapidly increased in large numbers from 881,357 in 1921 to 1,017,825 in 1931 (Census of India 1931, p. 224; Table 2, ‘Indians by natural division’). Hence, the British census takers might have felt that some of the ‘Indians’ needed to be disguised as ‘Indo-Burmans’ in order not to alarm the collaborating Burmese elite groups. This decision has, however, complicated the situation of the Muslim population in Arakan since independence. The geographic division of the Indian immigration inside Burma is also detailed; the largest numbers of Indian immigrants can be found in the ‘Centre’, but also the number of Indian immigrants in the Shan States doubled from 1921 to 1931, i.e. from 16,733 to 32,604. According to the census, many of the Indians who moved to the Shan States were ‘Gurkhas’7 (Census of India 1931, p. 226). The British census takers admit that they have been struggling with the concept of ‘Indians’ for decades, ever since the work was started in 1891. In the earlier censuses, the Hindus had been classified by caste, whereas the Muslims had been classified by tribe. This, according to the authors, was not ‘satisfactory’; consequently in the census of 1931, Indians were to be classified by ‘race’ (Census of India 1931, p. 228). In the previous censuses, ‘Chulias’ had been classified as a Muslim tribe, whereas according to the new system, Chulias would be classified as Tamils. The ‘cloth-selling moneylenders known as the Kabulis’ have been now included in the figure of Pathans (Census of India 1931, p. 229). British statistics on different religious groups in Burma further divided the population. The table highlighted the ethnicity of the Christian community by carefully counting the Burmese, Karen, other indigenous groups, Indians, Europeans and Anglo-Indians in one category, and the additional ‘others’. The statistics show that 168,938 Karens are Baptists and 41,294 Karens are Catholics. No other ethnic group comes close to these numbers; among the Indians 20,668 were Catholics and 5,136 Baptists. The second largest number of Christians can be found in the unspecified group of ‘other indigenous groups’ (Census of India 1931, p. 21410). These racial statistics contributed to the persistent mistrust between the Buddhist majority in Burma and the ethnic Christian minorities, particularly the Karen. Linguistically, the ‘Burma group’ and the ‘other indigenous group’ were divided into smaller subgroups. The census shows that the Burma group includes 16 different linguistic subgroups, the largest of which was the ‘Burmese’ – i.e. people speaking Burmese. The other languages in the Burma group included, for instance, Arakanese, Tavoyan, Merguese and Intha (Census of India 1931, pp. 202-203). The Karen group was further divided into linguistic subgroups such as: Karen, Sgaw, Karenbyu, Pwo, Padaung, Karenni and Talaing-Kalasi. The last group is quite a hybrid, as Talaing11 in the same census is classified as a linguistic subgroup of the Mon, i.e. a Mon-Khmer language group (Census of India 1931, p. 204). According to the Census of India 1931, ‘Sgaw, Pwo and Paku Karens are very different from Karens who live in the hills, and from a racial point of view one could place the remaining Karen races in the Palaung-Wa group’.12 Sgaw, Pwo and Paku Karen comprise 74% of the total number of Karen (Census of India 1931, pp. 192-193). In a further act of racial engineering, the British had deleted the ethnic Mon people from the Census of India 1931 by claiming that the Mon had been ‘absorbed’ in the ‘Burman’ group. At the same time, the census takers seem to promote the separation of the Karen by stating, ‘the Karens are exclusive and there is at present no likelihood of their being absorbed by the Burmese’ (Census of India 1931, p. 225). The unscientific race and language theories presented by the census takers in 1931 had a devastating impact on the social and economic stability of independent Burma. The idea of ‘Burma’ is still in a process. As mentioned earlier, particularly the identity of the ‘Rohingyas’ is problematic. There is a heated discussion going on among academics and activists concerning who the Rohingyas are, whether they are Burmese or Bengali/Chittagonians with deep roots in Burma, or possibly more recent Bengali/Chittagonian immigrants escaping the economic and political instability of East Pakistan/Bangladesh as the military government claims. The Burmese, upon their independence in 1948, inherited the British beliefs in racial categories. The Constitution of 1947 deliberately divided the country into four different ethnically based states: Kachin, Chin, Karenni and Shan states, into which later Karen, Arakanese and Mon states were added. Burmese authorities inherited the British conviction of the importance of censuses. By 1953 the Burmese were able to produce a rather similar census to that which the British had routinely been producing since the incorporation of Burma into the British Indian empire. The Burmese census was called ‘First Stage Census 1953’14 and was followed by ‘Second Stage Census 1954’15. After the military coup d’eacutetat of General Ne Win, more censuses were compiled, but those are regarded as less accurate than the censuses compiled during the civilian administration of Prime Minister U Nu. The First Stage Census of 1953 was compiled in the urban areas, and the ethnic categories were yet again carefully highlighted. The census indicated that 75.8% of the population were Burmese, and only 8.3% belonged to other indigenous races such as Karen, Shan, Chin, Kachin and Kayah (former Karenni). The Census 1953 continued to include ‘Foreign races’: 9.8% Indian, and 5.7% Chinese (First Stage Census 1953, p. xxv). The Second Stage Census of 1954 was compiled in the rural areas where Burmese constituted 87.3%, and other indigenous races 9.7%. A lesser number of foreign races resided in the rural areas; 2.3% of the rural population were Indian, and 0.5% were Chinese (Second Stage Census 1954, p. 3). The census carefully listed the religious affiliation of the people. According to these statistics, 70% of the population in Arakan were Buddhist and only 22% were Muslim. These figures are from the First Stage Census from 1953 and apply to the urban areas (p. xxvi). According to the Second Stage Census of 1954, compiled in the rural areas, 41.7% of the population were Muslim (Second Stage Census 1954, p. 4). Censuses throughout the colonial period and the first decade of independence were detailed and touched upon such sensitive topics as religious beliefs. The statistics gave an impression of accuracy, yet many of the categories were artificial and simplistic. The main legacy of these detailed racial and ethno-religious statistics is that they are politically divisive and manipulative. The Constitution of Burma from 1947 implemented the imagined ethnic mapping British census takers had initiated. The Constitution aimed to create a geo-body which would have bridged the three colonial divisions under the single administration of the Union of Burma. The new geo-body incorporated territories which recognised no shared history16 with the Burmese people. The colonial, racial and geographic manipulations became the blueprint for the other newly-independent states such as India, Indonesia and Malaysia. According to the Constitution of 1947, the Union of Burma ‘shall comprise the whole of Burma’, which in the colonial administrative practice was referred to as ‘Ministerial Burma’ or ‘Burma Proper’. This was extended by clauses stating that the Union of Burma would include all territories that had been governed by ‘His Britannic Majesty through the Governor of Burma’. In addition, the Karenni States, which had been ruled separately between Burma Proper and the Frontier Areas, were included. According to the Constitution, the new Union of Burma should also include territories earlier known as Federated Shan States and the Wa States, which together should be called ‘the Shan State’. The smaller separate territories in the far north Myitkyina and Bhamo districts should form a constituent unit and be called ‘the Kachin State’. The territories earlier known as the Karenni States, viz. Kantarawaddy, Bawlake and Kyebogyi shall become the Karenni State (Constitution 1947, Chapter I). The Constitution hence decided to create four separate autonomous states out of the former British Frontier Areas. These four states were the Shan State, the Kachin State, the Karenni State, and an autonomous Karen State whose creation was proposed in the Constitution. The former Chin Hills District from the British Frontier Areas would become a Special Division of the Chins. According to the Constitution, the Shan State would simply include all the Shan States, and should be represented by the hereditary rulers or Saohpas (Constitution 1947, Chapter IX, part I). The Kachin State was recognised to actually be multi-ethnic, and hence a clause was added that the Kachin State should be represented in the Chamber of Nationalities by six Kachins and six non-Kachins from the Kachin State (Constitution 1947, Chapter IX, Part II). The Karen state was a more complex affair. According to the Constitution, ‘the following areas, viz. the Karenni State, Salween District and such adjacent areas occupied by the Karens as may be determined by a Special Commission to be appointed by the President shall, if majority of the people of these three areas and of the Karens living in Burma outside these areas so desire, form a constituent unit of the Union of Burma to be known as the Karen State’ (Constitution 1947, Chapter IX, Part III). This reflects the reality of Karen people who were dispersed in various parts of the territory now becoming the Union of Burma. There was a heavy concentration of diverse Karen groups in the Salween area. ‘Delta Karens’, however, lived in the Irrawaddy Delta area, and many of the western-educated Karens lived in Insein, a northern suburb of Rangoon. Until the Special Commission would be able to decide whether a state called Karen State could be formed, an area known as ‘Kaw-thu-lay’ comprising the Salween District and such areas occupied by Karens as may become the Karen State shall be a ‘Special Region’. When the Karen State was established, it was to have the same status as the Shan State (Constitution 1947, Chapter IX, Part III). The Constitution continues imagining the Karen State: ‘if the Karen State will be created, then the Karenni State needed to be reorganised. The territory known as Mongpai in the Federated Shan States shall be acceded to the Karenni State, if the majority of the people of the territory so desire. Until the Parliament otherwise provides, the Sawphyas of the three special districts that had formed the British buffer Karenni State Kantarawaddy, Bawlake and Kyebogyi shall represent Karenni State in the Chamber of Nationalities. The Saohpa of Mongpai shall also become a representative of the Karenni State in the Chamber of Nationalities after the accession of Mongpai to the Karenni State’ (Constitution 1947, Chapter IX, Part IV). The Special Division for the Chins would include the two special areas separately administered by the British during the colonial period, i.e. Chin Hills District and the Arakan Hill Tracts (Constitution 1947, Chapter IX, Part V). The Karen State was subsequently formed by an amendment to the Constitution in 1951. The territory earlier known as Salween District was to be known as the Karen State. The Karenni State simultaneously changed its name to ‘Kayah State’. The leaders of an independent Burma inherited as a colonial legacy, a wide territory that had been administered either directly by a British governor or indirectly by a British resident as an adviser to the indigenous hereditary chieftains. This division could not be ignored in the new state of Burma but needed to be addressed by granting a high level of autonomy to the former British Frontier Areas. The ‘states’ would be autonomous in terms of agricultural production, ‘markets and fairs, public order, village police and prisons, education and public health’. The Government of the Union of Burma would be responsible for defense, external affairs, communications, and finance, i.e. taxes and duties (Constitution of 1947, Third Schedule, Legislative Lists I and II). State revenues would come from the land revenues, from royalty on petroleum, royalty on minerals and taxes on mineral rights, royalty on rubber, opium, forests and irrigation dues (Constitution 1947, Fourth Schedule, State Revenue List). Despite the theoretically relatively autonomous position of the states, the ethnic groups started an insurrection immediately after independence. The first ethnic group to start the uprising was the Karen in July 1948, closely followed by the Mon (Burma and the Insurrections, 194918). The insurrection was further fuelled by both economic interests of the local rulers, particularly in the former Frontier Areas, and further invigorated by the global Cold War strategies. The international community continues to imagine Burma according to the racial and ethnic categories created by the British census takers for colonial administrative purposes. Particularly after the failed democracy uprising in 1988, Burmese politics has attracted more media attention in the Western hemisphere than ever before. A number of foundations and NGOs have established special funds to support the struggle for democracy – or struggle against the military junta – inside or outside Burma. The global media became aware of the decades-old civil wars in the Burmese jungles after hundreds of student activists escaped to the jungle to join the guerillas. During the early 1990s, the military junta signed cease-fire treaties with 17 armed groups, now known as ‘cease-fire groups’. There are still a handful of armed groups continuing a low-intensity war against the central government and against the cease-fire groups. The international community continues financially to support many ethnic groups at the border areas, particularly at the Thai-Burmese border. A powerful US non-profit organisation, established by President Ronald Reagan in the early 1980s, known as the National Endowment for Democracy (NED), supports 35 different Burmese groups ‘dedicated to bringing democracy to their country’. Among these organisations are the main opposition party, the National League for Democracy (NLD) led by Aung San Suu Kyi, the government in exile in Washington (NCGUB) led by Aung San Suu Kyi’s cousin Dr. Sein Win, the Oslo-based radio station Democratic Voice of Burma (DVB), and the Chiang Mai- based monthly magazine ‘Irrawaddy’. The rest of the money, altogether over 2.5 million USD a year,19 goes to the refugee organisations at the border areas. ‘The Endowment believes it is a priority to support the development of ethnic organisations so that they are better able to participate as equals in the discussions regarding the future political structure of Burma. Grants to ethnic nationality-based organisations allow them to solidify their core operations, reach more people through increased training programs, and distribute their literature to a wider audience. Assistance to ethnic groups will also complement the prodemocracy movement’s efforts to build solidarity between the prodemocracy groups, most of whose members are ethnic Burmans, and the ethnic nationality forces’. The international community anachronistically continues imagining Burma along racial categories and accepts the colonial geo-body created by the British census takers. Antagonistically, the international community challenges the geo-body of Burma mapped by Aung San in the Constitution of the Union of Burma in 1947. Marja-Leena Heikkila-Horn teaches Southeast Asian history and religions at Mahidol University International College in Thailand. Her doctoral dissertation for Abo Akademi University in Finland in 1996 discussed the Buddhist Santi Asoke group in Thailand. She has published several books in Finnish on Southeast Asian history and cultures. Author’s postal address: Mahidol University International College (MUIC), Salaya Campus, Nakhon Pathom 73170 Thailand. I would like to thank the two reviewers for their valuable comments and suggestions, which I have tried to accommodate. I would also like to thank Ms Pat Norman for the language revision. * 2. Aye Chan (2005) The Development of a Muslim Enclave in Arakan (Rakhine) State of Burma (Myanmar). SOAS Bulletin of Burma Research 3:2 , pp. 396-420. 1Anderson, Imagined Communities; Thongchai Wininchakul, Siam Mapped. 2A treaty had been signed in 1872, stating that ‘the State of Western Karenni shall remain separate and independent’, and that ‘no sovereignty or governing authority of any description shall be claimed or exercised over that State’, Maung Maung, Burma’s Constitution; 169-170. 3In its current sense referring to ethnic Burmese. 4The origins of Christianity amongst the Karen groups can be traced back to the introduction of Christian beliefs by Adonikam and Ann Judson from the American Baptist Mission in 1813. Nowadays approximately 20% of Karens are Christian. 5Mandalay has been receiving in recent years large numbers of Chinese immigrants from PRC. 6These figures are based on the Census of India 1931, Table 2, where the number is given of ‘persons belonging to each race group in 10,000′, i.e. Burma group 6500, Karen group 934, etc. 7Gurkhas or Gorkhas as an ethnic group are regarded as an ‘imagined community’, invented by the British. 8According to Jacques Leider, ‘In many older writings, the Arakanese are called Magh, an injurious term of uncertain origin, used in Bengal to refer to the Arakanese pirates’. Leider, ‘Arakan’s Ascent’, 53. 9Aye Chan, ‘The Development of a Muslim Enclave’, 396-420. 10 Table 12, Christians classified by race and sect. Census of India 1931. 11The word ‘Talaing’ was earlier used for the Mon. 12Palaung-Wa group, according to the Census includes the Wa, Tai-Loi, and Palaung (Census of India 1931, p. 204). 13See Renard’s article ‘Studying peoples often called Karen’ in Delang (2003). See similar discussion by Mikael Gravers (2007). 16According to Renan (1882), ‘a heroic past’ is ‘the social principle on which the national idea rests’. pp. 17-18. 17Panglong Agreement reprinted in Maung Maung (1961) p. 229. 18Burma and the Insurrections, 1949. 19Information is from the year 2003, www.ned.org/publications/staffDocs/bJoseph 071803.html. Similarly, Prospect Burma and Open Society Institute have been supporting refugee students from Burma with scholarships since 1994. Preference has been given to ethnic minorities.